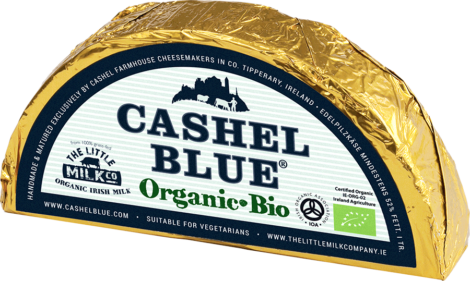 Cashel Blue Organic is the result of a relationship between The Little Milk Company (a group of Irish organic dairy farmers who came together in 2012) and Cashel Farmhouse Cheesemakers. 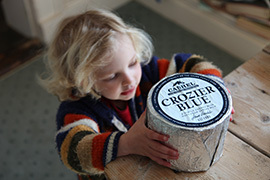 Cashel Blue Organic is made to the original Cashel Blue® recipe which was created in 1984 by husband and wife Louis and Jane Grubb. 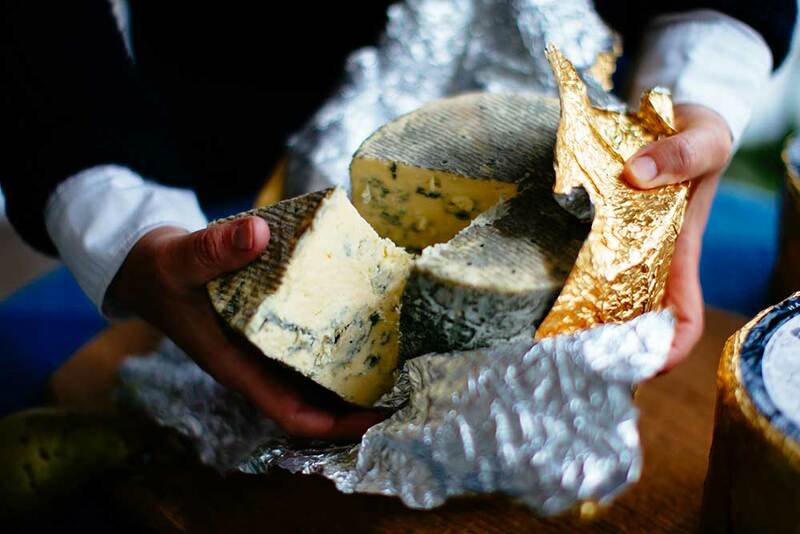 The organic milk for this blue comes from a single herd of cows based in the hinterland of Fethard, some 15 km from our cheese house. This herd comprises an unusual breeding mix of Montbeliard, Friesan and Norwegian Red cows. Milked only once a day, the resulting milk is particularly rich, sweet and creamy. 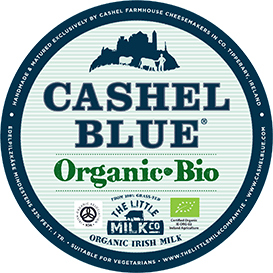 Handmade in open top vats, the Cashel Blue curd from this organic milk is so rich that the vat cannot be filled to capacity, otherwise it would be too heavy to be cut and stirred by hand. 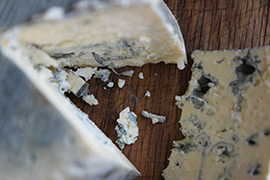 Cashel Blue Organic is made from pasteurised, unhomogenised milk and is matured in the cheese house where it is made. Cheese is not released sequentially but on the basis of taste selection, we recommend that it is at its best at between 3 to 5 months of age. 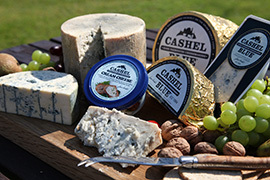 We enjoy Cashel Blue Organic with a delicate dessert wine such as Beerenauslese or Saint Croix du Mont. For those who prefer a red we suggest a lighter style such as a Cotes du Rhone Villages. Excellent accompaniments include fresh figs, pears and roasted walnuts. Why not have a look at our Pairing and Accompaniments page to get some more eating ideas. 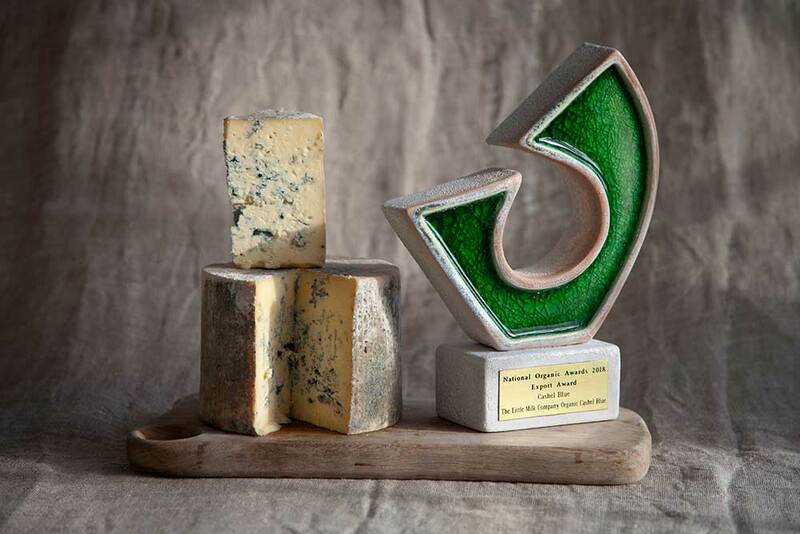 Cashel Farmhouse Cheesemakers are certified by the Irish Organic Association, IOA Licence number 7390. 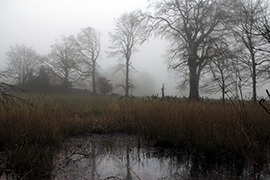 Cashel Blue Organic/Bio is made on a BRC approved site.